In Treatment: the work they did together. I subscribed to HBO intending to watch both In Treatment and the critically acclaimed Boardwalk Empire. Sadly, it didn’t take long for the labored, and ultimately flat, Boardwalk Empire to lose my interest. No such thing happened with In Treatment, which engaged me right into its third season’s final episodes. To the point where, this week, nervousness churned in my gut and I metaphorically chewed on my nails, worried about how Sunil’s arc would resolve itself and if Gabriel Byrne‘s Paul was just going to fall apart entirely as a result. Early buzz for this season –which I looked into shortly after getting hooked — talked up Debra Winger and her character, Frances, and what a big thing it was to have her on the series. 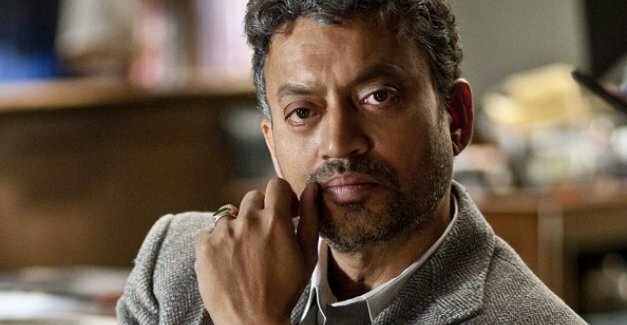 I can’t help a little smug, desi pride coming to the forefront, as all the buzz now is for Irrfan Khan, who really pulled off an amazing season-long performance. I could have watched him for months on end, so enthralled was I by what he did with his voice and his eyes and his posture. I really hope this role garners him Emmy and Golden Globe nominations. To most non-Indian viewers, we’re all alike; our regional linguistic differences and cultural differences don’t stand out. But true authenticity demands recognizing how a Gujurati differs from a Punjabi differs from a Bengali. Khan’s Sunil was very much a Bengali… and also very much an enigma wrapped in a riddle, and a truly compelling human being. I give major props to him, to Adam Rapp, to Jhumpa Lahiri, for crafting a rich, layered character so carefully. For taking us on a journey that ended in a very unexpected place. The season arc is particularly interesting because as much as Sunil’s sessions were meant to give Paul a look into his psyche, through Sunil, viewers gained key insights into Paul. How invested he gets in his patients. How lonely he is. How alien he feels. And the way Sunil’s story wrapped up spoke more about Paul’s weaknesses and strengths as a therapist than Sunil’s particular demons. Sunil’s deep core of wisdom, of intelligence, is what we get to take away about him. It’s in Khan’s face, in the set of his shoulders: that Sunil has found what he was looking for. It’s Paul who winds up looking like the lost soul in the end. His own tools have been turned against him, he’s invested too much of himself into Sunil’s plight…leading him, and the viewer, to wonder if he’s even cut out to be a therapist anymore. It was all masterful! And I don’t mean to diminish the Frances, Jesse and Adele portions of the season by lavishing so much praise on the Sunil parts, but, let’s face it, the Sunil narrative is one that’s very close to my heart. I think all the sessions highlighted Paul’s own issues about mortality and loneliness coming to a head. Sunil found his way out. Can Paul make the necessary bold choices to do the same? I don’t know. I suppose it all depends on whether the show has another season. What I do know is that In Treatment‘s bold choice to feature a character like Sunil definitely paid off!